tranquil learning place.Within a distance of about 4mins drive to school,the apartment offers a bit of serenity away from the bustle of the school area. 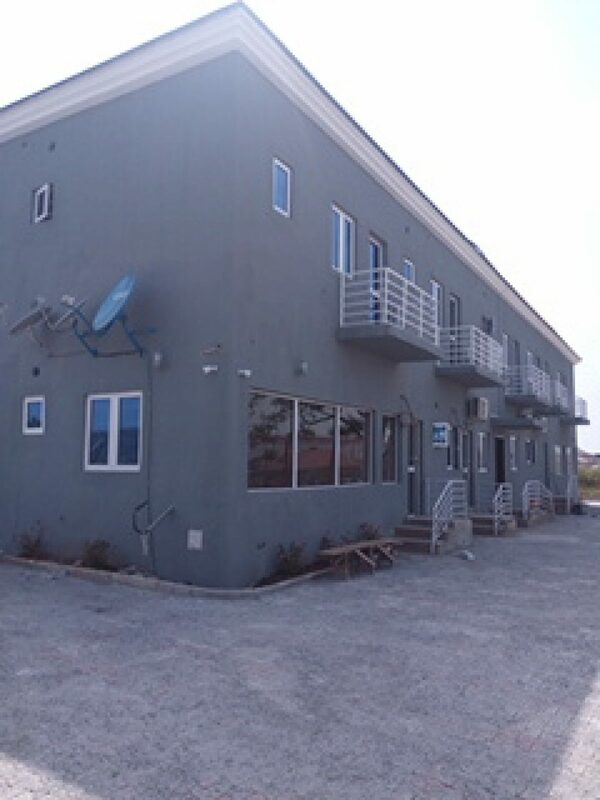 While the unfurnished unit is entirely empty, the furnished units come with bed,reading table and chair,couch,Television and Dstv,microwave,cooker and fridge. 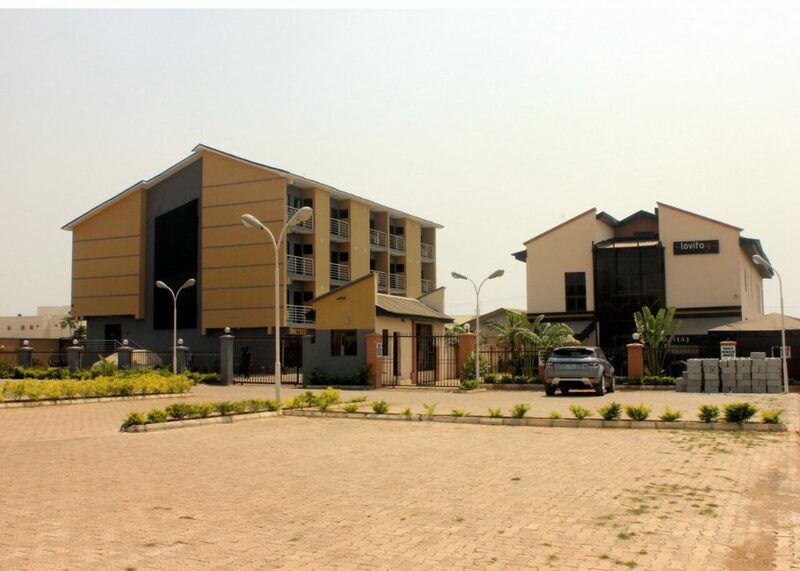 For a virtual tour of the Breeze Apartment, click the link below and call in at +2348134142807 for your rental. 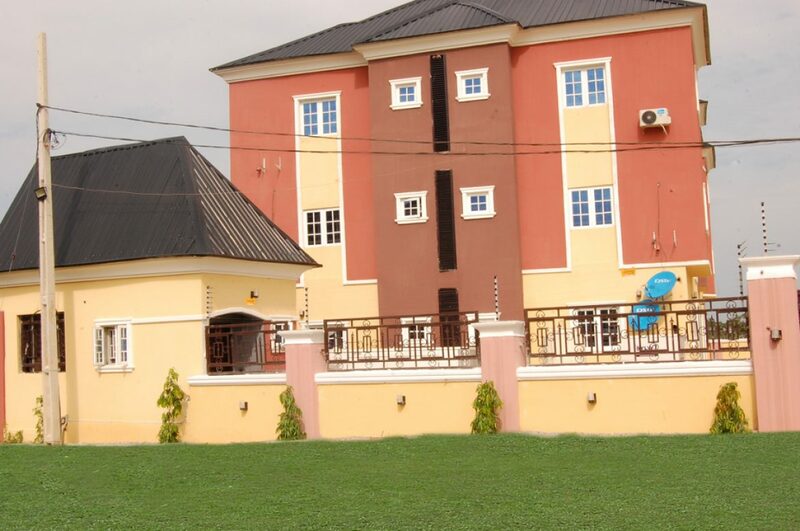 Red Haven/Pink House apartment is one of the top luxury apartments available for students in Nigerian Law School, Bwari. Red Haven is made of 8 units of one bedroom serviced apartments with fully fitted living rooms, bathrooms and kitchens. The living rooms are spacious as well as their bedrooms with fully fitted air conditioners. The kitchens are equally fully furnished with a cooker and microwave. The living rooms come with curtains and a televisions (DSTv). Red Haven offers services to its clients which include on site facility managers to cater for all needs of the occupants, concierge and laundry services on call and police patrol (for the extra security). There’s also constant power supply with a dedicated transformer and a standby 100KVA generator (which supplies 12 hours generator time daily) and a spare 30KVA generator for unforeseen exigencies. The premise is fenced round and it comes with installed fixtures and fittings and a POP ceilings for the lovers of class. 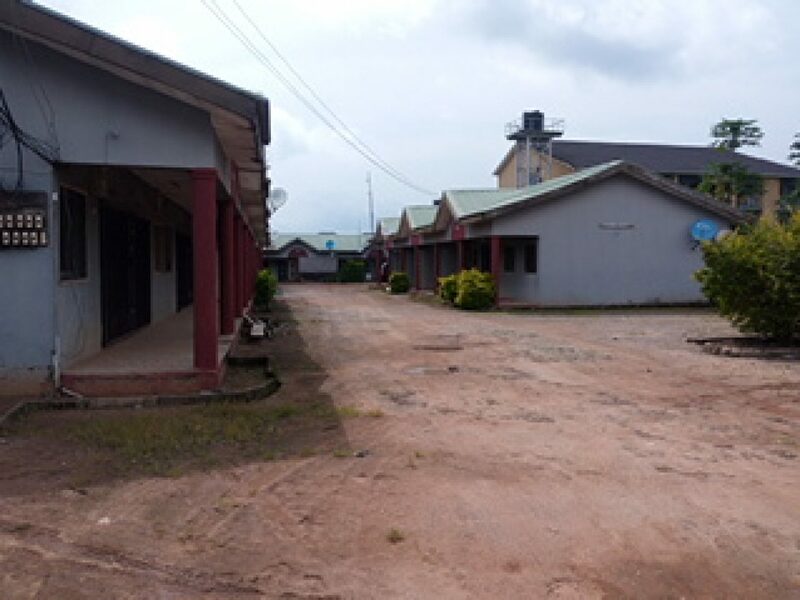 It’s a thirty seconds drive or three minutes walk from the Law School and would be perfect for anyone looking for an apartment outside the Law school hostels. 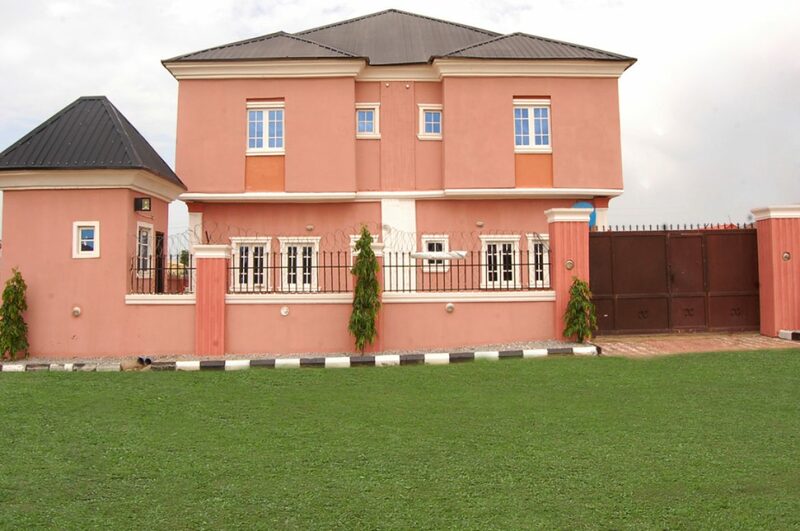 Red Haven/Pink House, Bwari, offers one bedroom serviced Apartments with fully fitted bathrooms and kitchens. The apartments are tastefully furnished, comfortable, spacious, and designed to provide no frills luxury for a perfect home away from home feeling. Our facilities are opposite Law School behind the bustle of road side Hotels. We are one minute drive or three minute walk from Law School and perfect for students looking to avoid hotel environment and over crowded student hostels. Fully-furnished luxury One Bedroom Apartments. Contemporary Living Room Furniture, Comfortable Reading Desk and Chair. 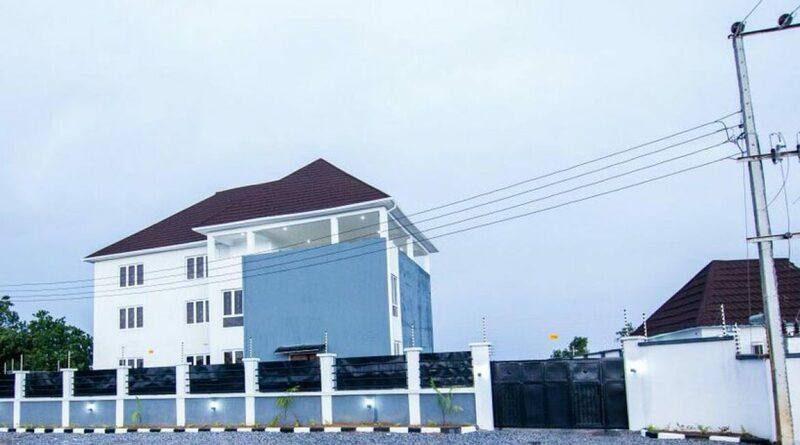 For a virtual tour of the Red Haven/Pink House Apartment, click the link below and call in at +2348134142807 for your rental. The apartment offers a range of services which include concierge and laundry services on call, 14 hours generator supply daily and police patrol. It enjoys 24 hours water supply, a dedicated transformer and 100KVA generator to ensure constant power supply, a spare 30KVA generator. There’s equally 24/7 security. Our apartment is just opposite Law School behind the bustle of road side noise and drama. It’s a one minute drive or five minutes walk from the Law School and certainly the perfect option for anyone looking for an apartment outside the Law school hostels. 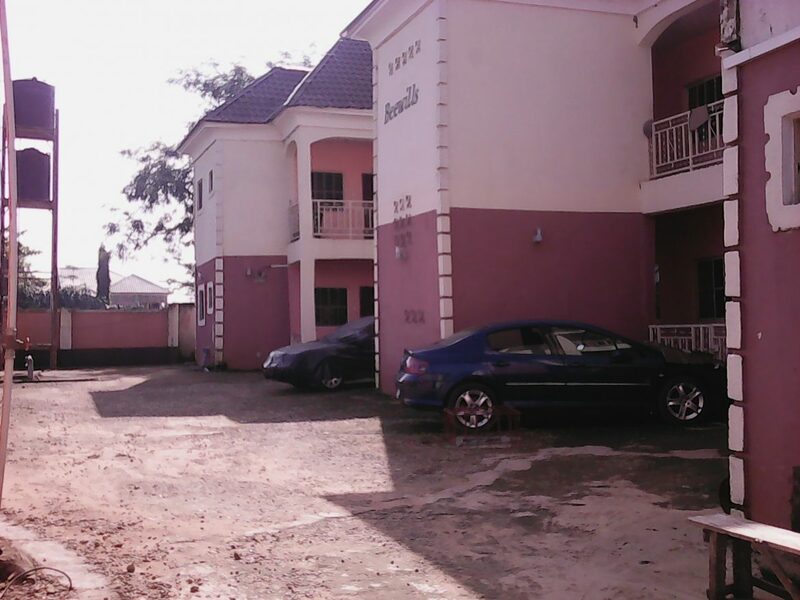 Barristers Quarters, Bwari, offers one bedroom serviced Apartments with fully fitted bathrooms and kitchens. The apartments are tastefully furnished, comfortable, spacious, and designed to provide no frills luxury for a perfect home away from home feeling. Our facilities are opposite Law School behind the bustle of road side Hotels. We are one minute drive or three minute walk from Law School and perfect for student Barristers looking to avoid Hotel environment and over crowded student Hostels. How Home Should Be … Quiet. Clean. Secure. Comfortable. Spacious. Powered. Separate Living Room and Bedroom. The Luxury You Need … From Landscaping to Facilities Design, we offer just the perfect blend of luxury and affordability. 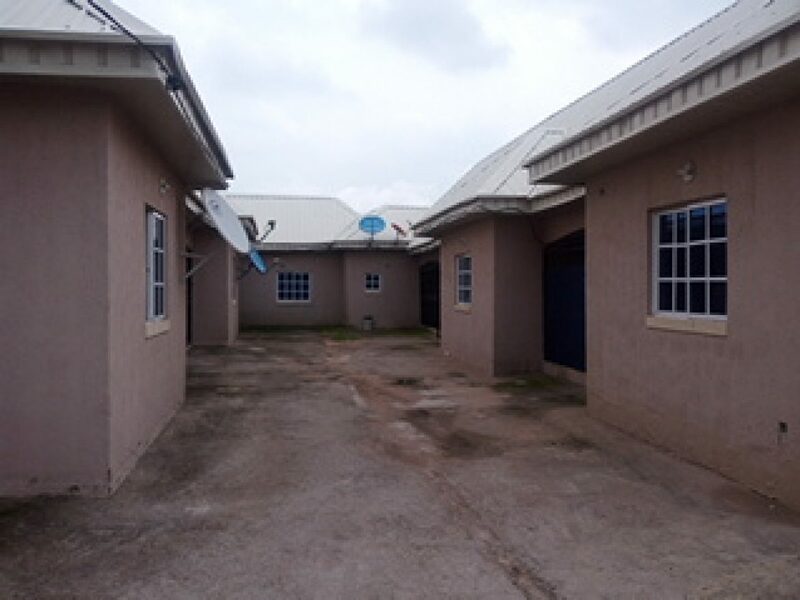 For a virtual tour of the Barristers Quarters Apartment, click the link below and call in at +2348134142807 for your rental. Williams Courtyard is a luxury accommodation facility passionate about delivering quality experiences that is designed with the student in mind. security and serenity that is very paramount while dealing with the rigors of the law school. ensure a 24/7 supply of electricity with a dedicated transformer for the building being supported with a 150kva generator and also an inverter system to compliment it. Supporting the superb amenities is a dedicated management readily available to address any issues that may arise during a student’s stay. environment where students can study effectively, also provided is a dedicated tutor and a space for tutoring. Not forgetting also the amazing facilities available for leisure and convenience purposes, such as a fully equipped gym and a tuck shop stuffed with basic needs. The restaurant and bar provides mouthwatering food and drinks reminiscent of home. A garden-set courtyard is right in the middle for residence and visitors relaxation. The team at Williams Courtyard is out to make your stay a memorable one. within its services:furnished apartment and empty apartment.You could also rent for a school year,Bar 1 and Bar 2. The furnished apartment comes with a bed, reading table/chair, Air-conditioner,Television,Dstv,wardrobe,Cooker,Microwave,Fridge,Water Heater,Curtains amongst others. The general unit has a room,rest room and a kitchen making up fourteen units with seven units upstairs. police Patrol around the Law School environs. So if you have a lean budget and still desire some comfort without the trouble of trying to buy household stuff to furnish an empty apartment,this should be your ideal apartment. a bedroom. It is empty but very spacious with free number of occupants.It is one of the cheapest apartments with very close proxity to the Law School. the apartment at a minimal cost. 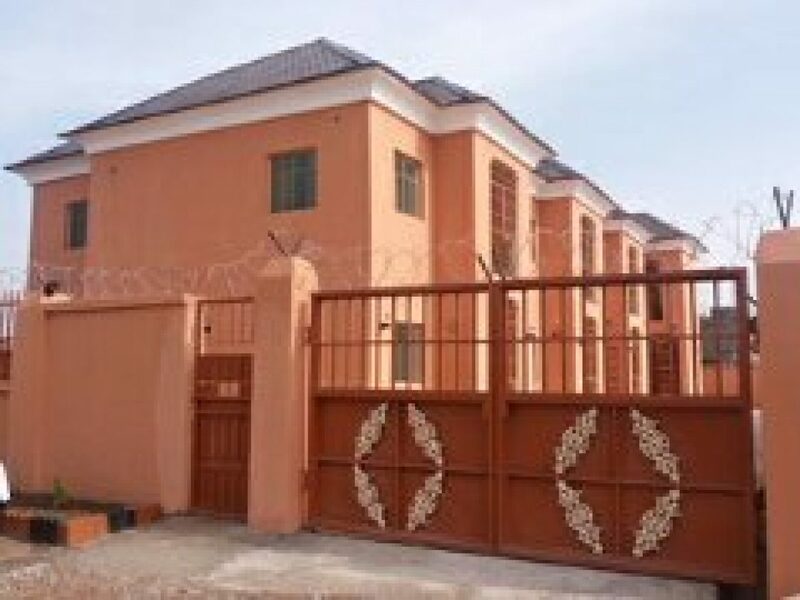 So if you dont have the money for the high profile apartments,Abdulsalam Estate will suit just fine at a give away rent price. Thinking of a luxurious exclusive student apartment for your study at the Nigerian Law School Bwari? The Zen Student Apartment comes readily to mind. 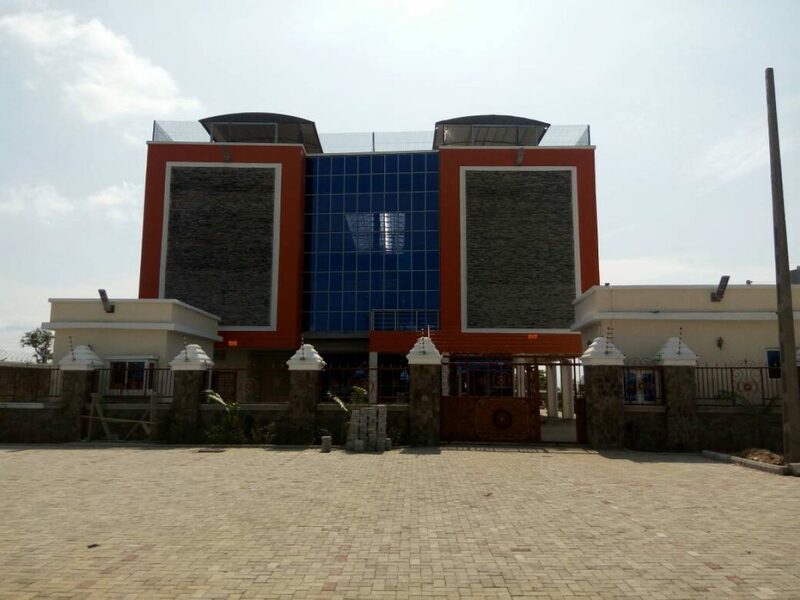 -just a 3 minute drive away from the Nigerian Law School campus- tranquility combined with sophistication makes this residence ideal for students. space for your comfort and pleasure. air-conditioner,laundry services,ensuite toilet,library,study room,relaxation lounge,general kitchen and an inhouse chef to make meals to your delight. 150 kva generator to supply power with a second back up generator to ensure power supply at all times and 24 hours water supply. Equally, you will enjoy room services at all times, 24 hours security with cctv and an inhouse fulltime manager to attend to your needs. Thinking of luxury,comfort and privacy,think Zen Student Apartment. Now go ahead and click the link below to have a satisfying virtual tour around The Zen Students Apartment and call in to rent the apartment for your Bar 1 & 2 programmes online or on +2348134142807.